Women with long hair can spend a long time drying their hair in the morning. Women with thick hair also have a problem with how long it takes to dry their hair. Even with an incredibly strong hair dryer, it can take almost 20 minutes to dry. 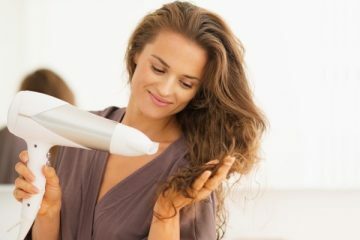 It has to be totally dry before you can start using a curling iron or straightening iron. Those 20 minutes can seem like a lifetime when you’re holding a heavy blow dryer. Lifting your arm and holding a really heavy blow dryer can become exhausting. It can strain your arm. Drying takes much longer when you have to rest your arm every five to ten minutes, too. For that reason, it’s important to choose a light hair dryer. It’ll reduce the strain on your arm. Your hand won’t cramp, either. 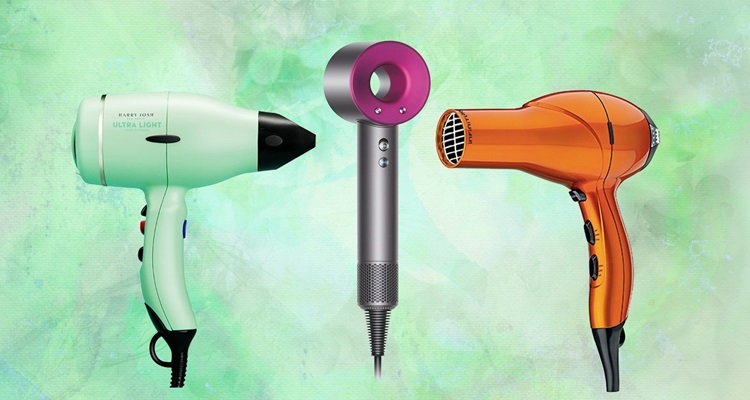 When choosing the best lightweight hair dryer, you have a few things to consider. We touch on all the essential features you should be conscious of before buying. Why You Need a Lightweight Dryer? This hair dryer is made by Dyson. They came up with an innovative concept with this dryer. It might not seem light at 4 pounds. The weight is distributed in a way that doesn’t feel heavy. The motor is in the handle of the dryer. That’s unlike other dryers with the motor at the top. This makes the dryer incredibly balanced. The hair dryer has 3 speed settings. You can choose fast or medium drying for very wet hair. 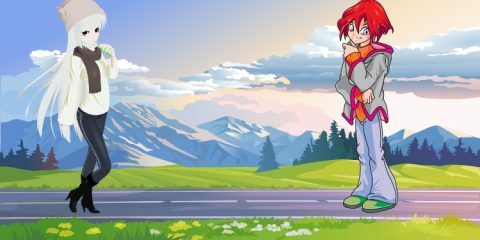 There’s also a third styling option. The air speed created in the dryer is multiplied to be balanced and even. This gives you control over the air being dispersed. 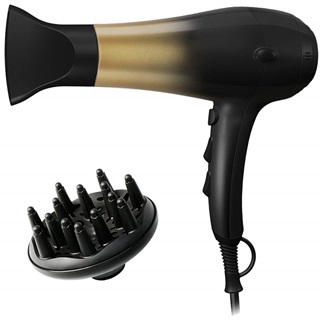 With this hair dryer, you’re getting precise heat settings. It has a 212F fast heat option. There’s the 176F medium heat. It has a gentle 140F heat option. Lastly, there’s a constant cold option. That’s good for sealing in your style at the end. There are magnetic attachments for this dryer. The Dyson has a unique style and shape. The attachments have to stick to the unique donut shape of the dryer. That’s done with the use of magnets. They don’t increase the weight of the dryer, either. This hair dryer from Dyson has all the technological advances they’ve used for their other products. The unique design really makes it stand out as does the color. The magnetic attachments are innovative, too. The heat settings are generous. The styling tool will actually check the temperature every 20 seconds and make adjustments. It’ll always stay at the correct temp while you’re styling. That’s important for the health of your hair. Sometimes, a dryer can get too hot. The air from this dryer will also be the temperature you’ve selected. For the casing, it’ll never get too heated. It’s made with cool touch technology. It’ll keep you safe and give you incredible styling options. This is not dual voltage. That’s something to consider if you plan on traveling out of the country with your hair dryer. This is a lightweight ionic hair dryer. It weighs less than 2 pounds. The dryer is made with porcelain ceramic technology. This gives you the ions needed for smooth, silky hair. It’ll be healthier after using heat from this styling tool. It has an incredible motor. The motor is 2000w of pure power. That’s a huge amount of wattage for a hair dryer. It would be a challenge to find anything higher than this. That kind of power will dry hair faster than other dryers. That amount of wattage will also give you more speeds and heat settings. This dryer has 3 heat settings. You’re able to get hot and warm settings from this dryer. You can also cool down the hair with a cool button. There’s also an additional cold shot button. It comes with two speeds, too. The Ceramix has a concentrator nozzle included with the dryer. It’ll help you narrow in on styling when it’s time. The dryer also has a removable filter. This will help you keep the dryer clean. That will prolong its life. That will also give you cleaner hair, too. One of the biggest features of this dryer is the motor wattage. That’s a lot of power for drying hair. It’ll dry faster than other machines with less wattage. It also has ionic technology. The porcelain and ceramic insides of this dryer will generate negative ions. Your frizzy, dry hair is full of positive ions. The negative ions will combat the positive ones. That gives you smoother hair. It’ll be shinier and more moisturized, too. There are so many features with this small dryer. It’s compact and made of a unique rubber housing. That will keep it from cracking and breaking if it falls. That’s important for a dryer that you’ll take with you traveling. The buttons are smooth and hard to move if your hands are damp. That’s great for keeping them in place when drying. It can be harder to move them if your hands are wet, though. 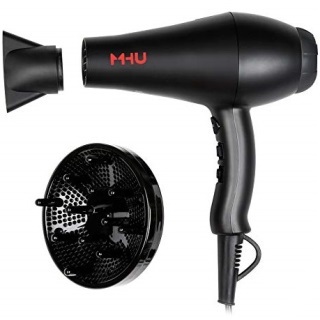 The motor of this hair dryer is one of the best on this list. It’s a 2000w motor that’s made in Italy. It gives you incredible power and drying. Instead of spending 20 minutes drying your hair, you can be done in less than 10. Along with a powerful motor, you’re getting a variety of speed and heat settings. The heat is far-infrared, which means you’re heating the hair gently. Most people are overheating their hair when using a blow dryer. The infrared heat ensures that you’re not doing that. With this dryer, you’re getting ceramic tourmaline ionic technology. The ceramic tourmaline generates negative ions against positive ones. You have positive ions in dry, frizzy hair. With negative ions, you’re smoothing hair and generating moisture. The dryer comes with concentrator nozzles. 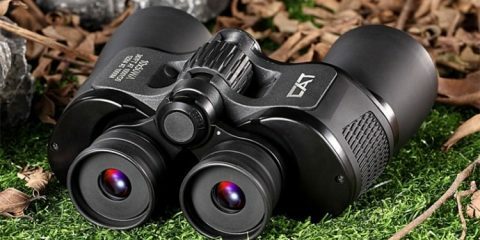 These attachments help you focus on style. 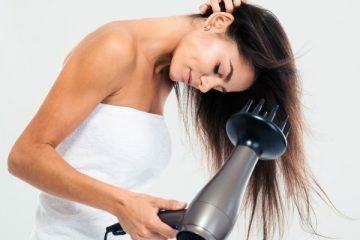 Blow drying your hair isn’t about just getting the hair dry. You want to have control over your style. With a good blow dryer, you’re getting a solid base for your unique hair style. The infrared heater will get your hair dry without overheating. That’s vital for the health of your hair. Heat can be very drying, of course. It can also make hair brittle. One of the worst things you can do to your hair is apply too much heat. That won’t be a problem with this dryer. With the tourmaline and ceramic materials, you’re actually getting healthier hair after use. The negative ions provide healthy ions. The negative ions from the dryer will soothe the positive ones. These are all features that professional salon stylists use on their customers. It’s gentle on hair while giving you styling options. The attachments allow you to really hone on your signature style. The power cord is thick and heavy duty. That’s a good thing, but it can make storage a bit tricky. First, let’s talk about the motor in this hair dryer. It’s an 1875w motor. That’s going to deliver incredible air speed. That’s definitely going to get you out of the house quicker every morning. There are 2 speeds with this dryer, so you have complete control. It has an infrared heating system. The 3 heat settings in this dryer all provide the right amount of heat. They won’t overheat your hair strands, either. The infrared heat gets the hair dry from the inside without draining moisture. Along with the infrared heating, the dryer generates negative ions. Those ions will combat the positive ones. It all provides great heating and drying without damage. Your hair will be healthier and shinier after blow drying. There are so many great extras with this dryer. There’s a removable filter for catching lint and dust. That can be taken out and cleaned. It keeps your dryer performing in the best condition possible. It also comes with a concentrator and diffuser. A good filter is worth mentioning here. Dust and debris inside the dryer can actually kill the motor. Many people believe that the dryer should last a very long time. That’s true, but it can’t survive when filled with dust. The dryer can actually overheat if the air filter is blocked. Air has to get in to cool off the motor. You have to maintain the dryer to get the best out of it year after year. The 1875w motor won’t perform filled with dust. The infrared heating system in this dryer is great for keeping hair healthy and silky. If you want shiny hair that’s full of life, you need a good hair dryer. You can’t go wrong with this one. This dryer can be quite loud. Be aware of the volume if you’re drying hair in the morning with a house full of sleeping people. 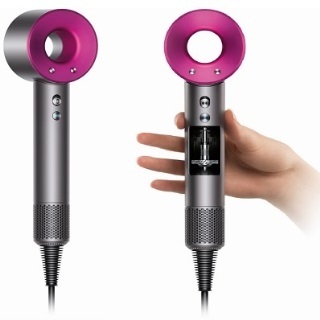 The hair dryer from NITION has a powerful 1875w motor. This is going to give you incredible power for your speed settings. Surprisingly, that much power doesn’t come with a huge weight. This dryer is only 1 pound. This hair dryer has ionic technology. Some dryers have one or two ionic materials. This one has 3. There’s ceramic, nano silver, and tourmaline. They all produce negative ions. So many ions are emitted that your hair will be noticeably healthier and shiny. It has Argan oil, too. Two air speed settings are available on this dryer. You can go high for drying and low for styling. There are 3 heat settings; low, medium, and high. You’re also getting a cool shot button. It has the ability to switch from cool to warm, too. Attachments are available for all kinds of cool hair styles. There’s a concentrator, diffuser, and comb attachment. Another extra is the air inlet grill. It can be opened to clean the air filter. It also comes with an extra air filter net. With all the ionic technology, this hair dryer can give you shiny styles. For example, glass hair styles will be achievable with this dryer. Argan oil is an integral part of this hair dryer. That oil helps repair hair and provides shininess and moisture. Argan oil also protects against hair damage. Heat won’t damage your hair when you protect it with Argan. It protects and moisturizes without being too heavy on your hair, too. The lightweight hair dryer really stands out when it comes to attachments. There are 3 of them. Any hair texture you might have will benefit from an attachment. The buttons for changing heat and speed are on the handle. They’re right where a person would hold the styling tool. The 1875w motor is a powerful way to get super speeds out of the dryer. There are two speeds with this dryer. You’re getting 2 speeds; soft and fast. The speed comes with a low amount of noise, too. There’s no reason you have to wake everyone getting ready. There are 3 heat settings with this dryer. There’s a low setting used for styling. There’s medium for concentrating on certain areas. There’s a high speed setting for getting the water out. There’s also a cool shot button for setting your style. It has nano ionic technology inside. That will smooth down any frizzy hair. It reduces dryness in your hair, too. You’ll end up with healthier hair after you use it. That’s because it emits negative ions to moisturize your strands. There are attachments with this hair dryer. It comes with a diffuser for curly hair. There’s a concentrator for getting in close for styling. It has a removable air filter for keeping the device free of dirt and dust. There’s a professional 8 foot cord, too. 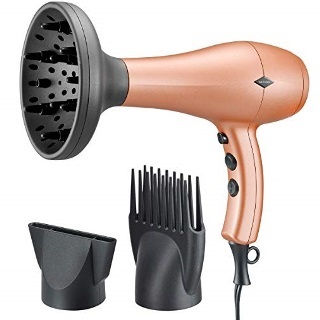 This is a compact, lightweight hair dryer. It rests comfortably in the hand due to the weight and ergonomic handle. Even with the concentrator or diffuser attachment on, it’s easy to hold as long as needed. It shouldn’t need to be held very long at all, though. It has a powerful motor. That 1875w motor will give you incredible heat and air speed. There’s also a cool shot button for sealing in your style. The nano ionic technology is an advance that should come with every dryer. The materials emit plenty of negative ions. Those negative ions will moisturize your hair. Consider the styles you could achieve with healthier, shinier hair. The casing is beautiful, but can be scratched very easily. You’ll have to be very careful with the outer case. When researching a lightweight hair dryer, it’s important to understand the functions. Making sure it’s light isn’t the only thing to consider. It should still have great features. There’s no reason you have to use a dryer with a weak motor. A lightweight hair dryer shouldn’t translate to a motor that isn’t strong. 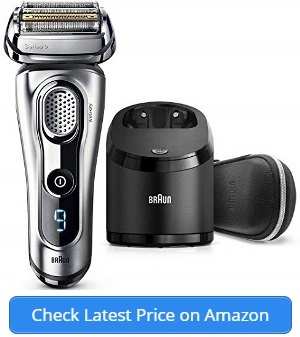 The wattage will depend on how much you’d like to spend on your styling tool. You can get a strong motor between 1000w and 1875w. There’s no reason to get under the 1000w mark. The dryer should be lightweight, but the power definitely shouldn’t be lightweight. 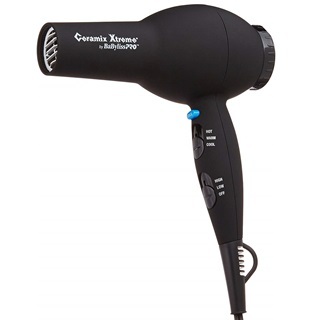 To get smooth and healthy hair, the hair dryer should have certain materials. The dryers with grilles made of tourmaline, titanium, or nano silver are ionic. For dry, frizzy hair, ionics are vital for silky tresses. The ionic materials create negative ions. These ions are used to impact the positive ions. Frizzy dry hair is full of positive ions. To get silky, shiny hair, you need negative ions. That’s why the materials matter so much. When drying your hair, you only need the hair dryer. If you want to style your hair, you will definitely want some attachments. For curly hair, a diffuser is a must. Otherwise, you could ruin your curl pattern. A concentrator works with the hair dryer to create waves or other styles with a brush. Attachments give you a head start on styling before you jump to other tools. Does Lightweight Mean Compact, too? With a lightweight hair dryer, you can take it with you anywhere. Traveling for work functions is required for many professionals. You can’t rely on the hotel to have a good, working hair dryer. It’s vital that you are using your own styling tools to keep looking your best. Even though vacation is more casual, you still want to be beautiful. Your vacation style might be more wind-tossed. It’s still important to have a good, compact hair dryer. It has to be able to travel and not take up much space. The lightweight hair dryer should have more than an on/off switch. There should be flexibility in the heat that comes out of it. For really wet hair, you want a bit more heat. Once it’s almost dry, it’s good to lower the heat and concentrate on the styling. With more heat options, you’re getting more styling choices. It’s important you don’t limit yourself. In fact, you don’t have to when choosing a light hair dryer. There’s no reason it shouldn’t have the options you need. Along with the right amount of heat, the speed of the air matters, too. You won’t be able to dry your hair at all unless the speed it right. It takes much longer to get out the door when the dryer doesn’t work correctly. Blasting your hair with plenty of fast air is vital to getting out the door faster. Instead of spending 30 minutes with a low setting, you’re getting 15 minutes of high-speed drying. It will definitely cut down on your morning grooming. The extras are important for a lightweight hair dryer. There are a few ways you can a light device. These are the same features that make the dryer easy to travel with, too. Some of the lightest hair dryers are ones with a folding handle. With a folding handle, you’re able to travel with the dryer. Usually with a dryer like this, you’re getting a shorter nozzle, too. That’s so you can take it anywhere with you. It’s what keeps the dryer low weight. With a light hair dryer, you’re getting a few benefits. First, you’ll be able to dry your hair as long as necessary. A heavy dryer can make you quit before your hair is even dry. It becomes too heavy to hold and hurts your arm. Your light dryer won’t result in arm fatigue. The dryer that’s lightweight is usually also compact. A compact hair dryer can go with you anywhere. It’s instantly ready to toss into a bag for a trip. Whether it’s a work trip or a vacation, you can easily store the dryer in a bag. It won’t take up much room at all. That’s important if you’re limited on luggage space. It’ll also save you space in the bathroom. If you live in a small space, it’s vital that you have space-saving items. Your new hair dryer will fit right into your home. It’ll fit snug inside a cabinet. There’s no need to hang it in full view. That’s what happens with other large hair dryers. 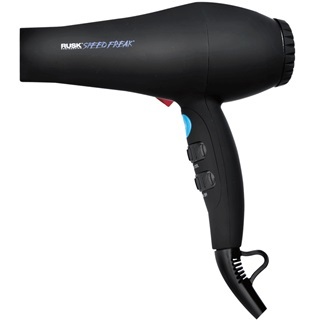 The best lightweight hair dryer is definitely one listed here. We covered some truly interesting hair dryers. One of them even had a motor in the handle. It made the dryer more balanced and ergonomic. You shouldn’t end up with a strain in your arm or shoulder before you’ve even left the house. These are all light dryers with amazing features. There’s no reason to sacrifice the accessories or features in a dryer to have one that’s compact and light.